Young people are distributed among the passers-by leaflets with the slogan “Stop drinking – during a family to feed and protect the country” and congratulations on the Day of Defender of the Fatherland. Suddenly, the organizers of the campaign came up and offered special forces to go with them. 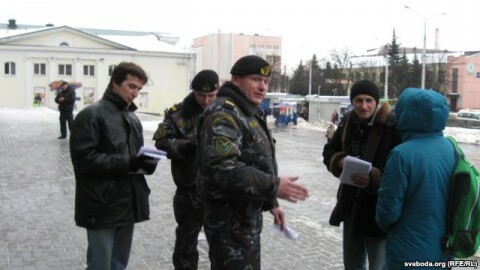 The activists were taken to the central police station, where the leaflets were taken and interviewed. 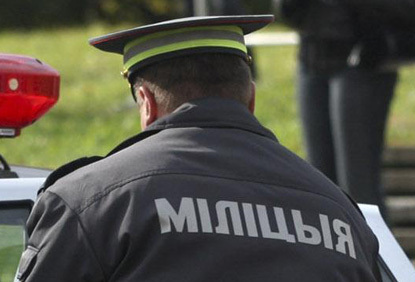 After keeping in the department about two and a half hours, the coalition of activists, “Our alternative” Castus’ Zhukouski, Andrei Pаpou, and Dzmitry Kareshkou released from the Central district police department of Homel. Meanwhile, they took the anti-alcohol pamphlets, about 430 copies, to check for compliance with the law. All copes (!?) of information materials pass examination, which determines, or in accordance with the laws they were printed, and they can not contain extremism, or anything illegal.